In the 1990s the sofa version of CH401 was designed especially for Kastrup Airport in a collaboration between Wegner and his daughter, Marianne. It has a tubular steel underframe, and steel sides that can be equipped with armrests where desired. 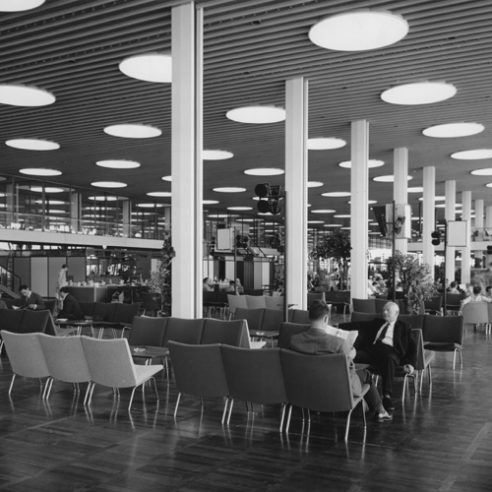 When Finnish architect Yrjö Kukkapuro was commissioned to fit out the SAS terminal at John F. Kennedy Airport in the late 1960s, he chose another of Wegner’s easy chairs, AP40, for the airline’s economy-class transit area.